SPC Performance Pro Spring Kit offers immediate handling enhancement and gives your muscle car an aggressive stance! Front springs provide approximately a 1.3” drop* and rear springs 1.0” drop*. Highest quality and design assures springs will retain optimum rates for unsurpassed performance. Springs are epoxy coated with a diamond black color and have a lifetime warranty. Sold as a complete vehicle package. 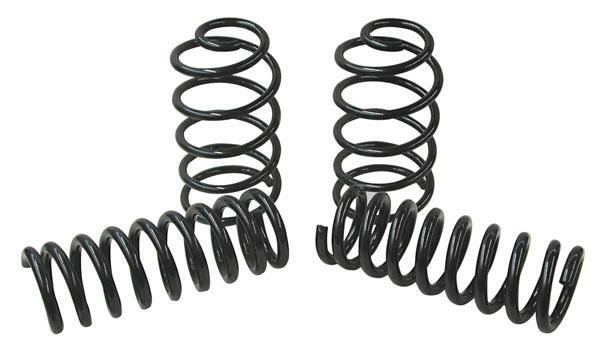 If you are using these springs with our lower arms, and need to fine tune your ride height use our Height Spacers.